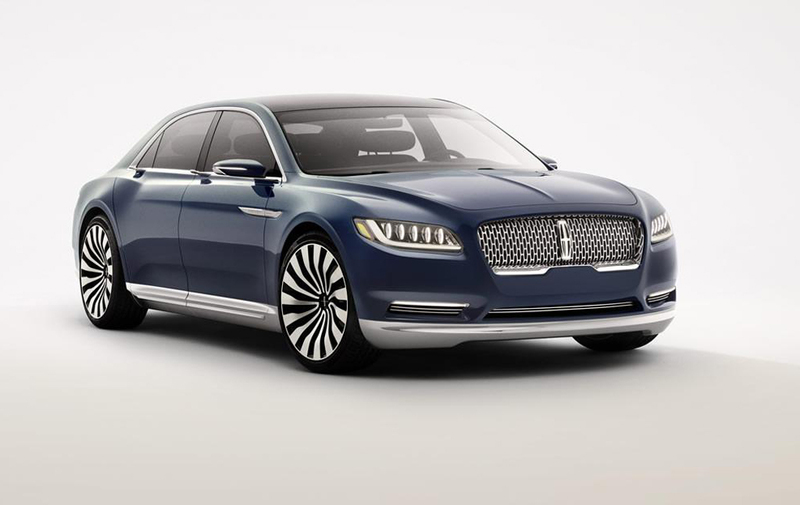 Lincoln’s Continental concept has been unveiled before the car was supposed to make its premier at New York. 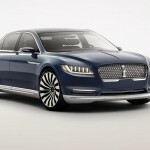 Lincoln fans can feast their eyes on this ravishing model at New York Auto Show from April 1st onwards. The car would hit the showrooms in 2016. Continental comes with an exquisite design that is a perfect blend of aesthetic beauty and convenience. The car is serene and elegant, but at the same time ensures a dynamic performance with a mighty engine. Thanks to the commendable craftsmanship, both the exterior and the interior exude royalty. The technologies too, have been designed to make the car a very desirable one. 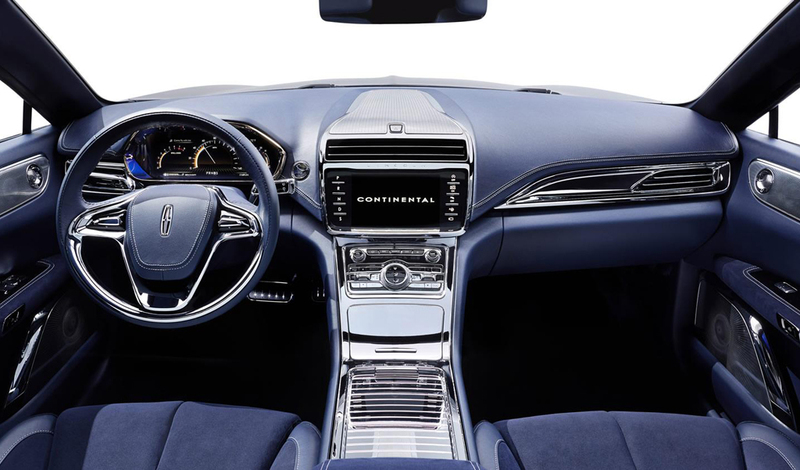 Continental concept is no less when it comes to the comfort of passengers. The cabin is enriched with facilities which ensure that occupants have a safe ride and enjoy to the utmost with the world-class features that the cabin is blessed with. 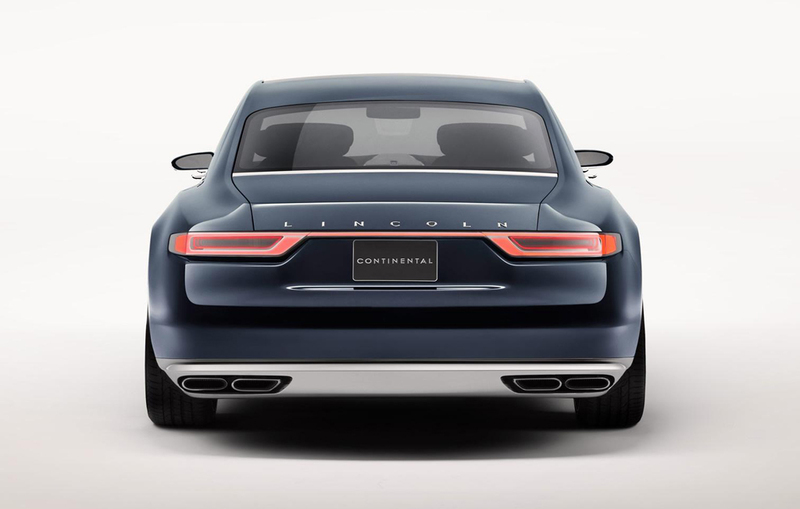 The classic nameplate ‘Continental’ can be seen again with this new launch. The full-size sedan wouldn’t be having a grille with split-wing. On the concept can be seen a new chrome pattern that looks even more attractive as it is accompanied by LED matrix headlights on the either side. The Lincoln badge looks prominent as it sits raised in the front. A number of Lincoln Star emblems made appealing with polished aluminum, surround the badge. The head lights come with laser-assist high-beams. Such technology serves to enhance the visibility and reduce the glare at the same time. The metallic paint used for the body is Rhapsody Blue. On the door, ‘E-Latch’ handles can be seen. With this cool technology, the users are given a very smooth entry into the cabin. Touch of a button lets the owners open the doors very conveniently. This button is present on the door handle wings’ underside and the closing is equally elegant. The 21-inch wheels are made stunning with the polished aluminum. 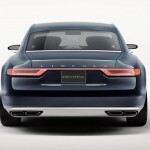 Continental runs on a mighty EcoBoost 3.0-liter V6 engine and it is expected to be a rear-wheel drive. To provide the most special driving experience, the car comes with Lincoln Drive Control. 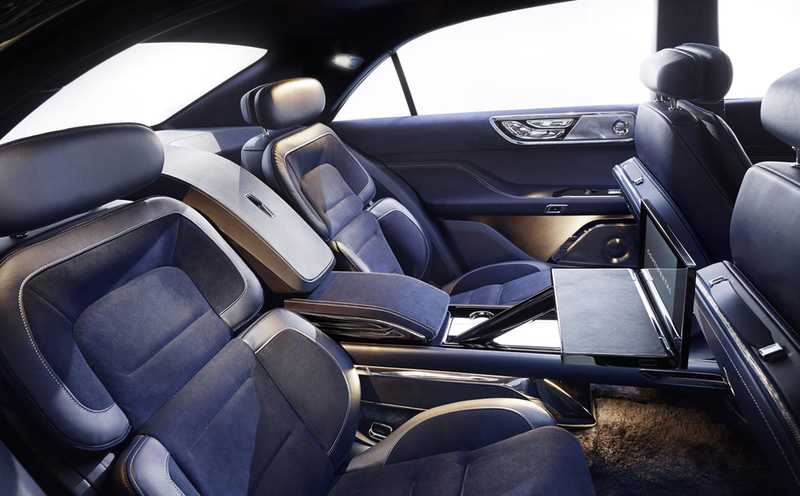 The Continental concept is equipped with several technologies for the assistance of drivers. With the 360-degree camera, the footage can be seen on MyLincoln Touch screen. Pre-Collision Assist is accompanied by Pedestrian Detection. Parking couldn’t be easier with the excellent facility of Enhanced Park Assist. The Adaptive Steering adds to the rich collection of these advanced features. The cabin holds 30-way seats which Lincoln has patented. A pleasant interior is ensured with LED soft-gold ambient lighting. The seat of the front passenger can be reclined completely with the press of a button. In the rear, the passengers can control climate setting and also the sound system Revel Ultima. Owners have three modes at their disposal – audience, on-stage and stereo. They get to enjoy a sophisticated lap tray where they can conveniently place their tablet. The interior is made yet more interesting with a compartment for storing champagne. The back of the front seats feature travel cases made from fine Venetian leather that adorns the door panels as well. The travel cases have been hand-crafted and are detachable. The car makers have used Alcantara® for the armrests as well as the seat inserts. The carpet and headliner have shearling wool and satin respectively. The sunroof comes with SPD SmartGlass with which the occupants can control the heat that arises due to direct sunlight. With just the press of a button, the glass can be made to cool the interior to as low as 18 degrees Fahrenheit. Interestingly, it can even block 99% of the incoming UV rays.